Monitor and control Windows endpoints from a simple-yet-powerful web front end. Make use of our powerful granular permission system to empower your Service Desk with sysadmin capabilities. Full configurable and extendable, or develop your own plugins to make the possibilities limitless. Manage an entire fleet of Active Directory connected computers through a single, easy-to-use interface. Run the same action on 1 or 10,000 devices, Overcee is just as capable at targetted actions as it is batch jobs. Configure its work load according to your server's performance, or add in additional load balanced workers to really optimise your workflow. 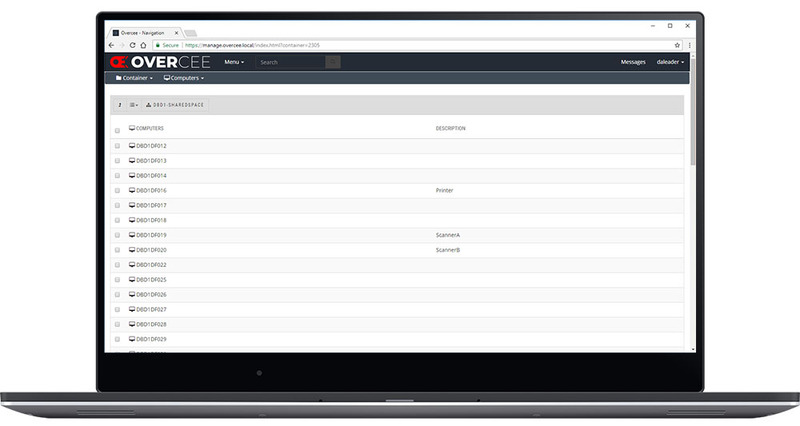 Overcee is not designed as a replacement to Group Policy, or System Center, but as a means of delegating functionality and responsibility out of your second and third line Service Desk teams. Instead of repeating the same process of diagnosis, escalation, fix; enable your front line to do diagnosis and fix in one quick step. 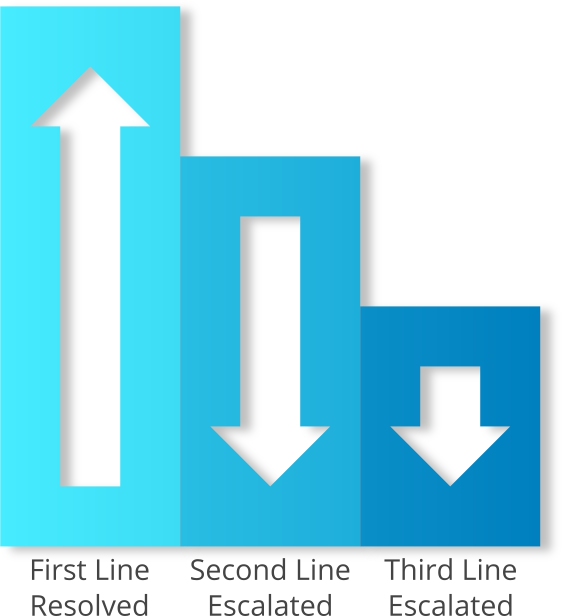 Give more power to your first line Service Desk team, thereby reducing ticket escalation and improving first line fix rates. Ultimately saving you money. Make use of Overcee's powerful granular permission controls to distribute access to its features without compromising your site security, and while still adhering to Least Privelege best practices. Overcee is designed to be modular, incredibly configurable and customisable to make it easier for you to make more functionality available to your users. Want more? Make use of Overcee's simple .NET API to develop your own plugins, making the possibilities truly infinite. Give system administration capabilities to your first line while maintaining control and security. Integrates with Active Directory for authenticating users and checking group memberships. Build your own .NET plugins for Overcee to expand its possibilities. Change settings, install patches or software, modify registry settings, and more. Overcee is a great way to get immediate status information on your computer fleet. If you would like to be notified about news, have a question, or a suggestion, we'd love to hear from you. Just fill out the form to the right and we'll get back to you as soon as humanly possible. We would like to occassionally email you about updates to the Overcee product range. These emails will be infrequent and we promise not to share your information with anybody else. If you are ok with receiving these emails, please check the box below.